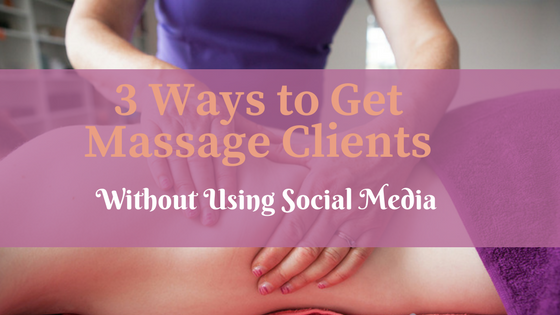 ​In this blog you'll learn 3 ways to get massage clients withou​t using soci​al media. Social media is a fantastic tool to grow your massage or holistic business but you need other ways to market yourself. ​ A very common mistake that most holistic therapists make (and I did this myself) is not ​putting the benefits of ​your treatments on your business cards and other literature. Say you have a very stress​ed person coming home from work. She's had a really bad day, her shoulders are tight ​and she has a headache which is getting worse by the minu​te. She stops at a shop to get some bits and pieces for dinner and at the register there's a some business cards. The cards say "Massage ​Aromatherapy, Reflexology" with the therapists name and contact details. That card is not going to make the client think "O​h, I must get that, where's the number?" unless they are already aware of the benefits of massage and have been thinking about booking a treatment. ​Relax and ​Recharge with ​Massage, Aromatherapy or Reflexology. 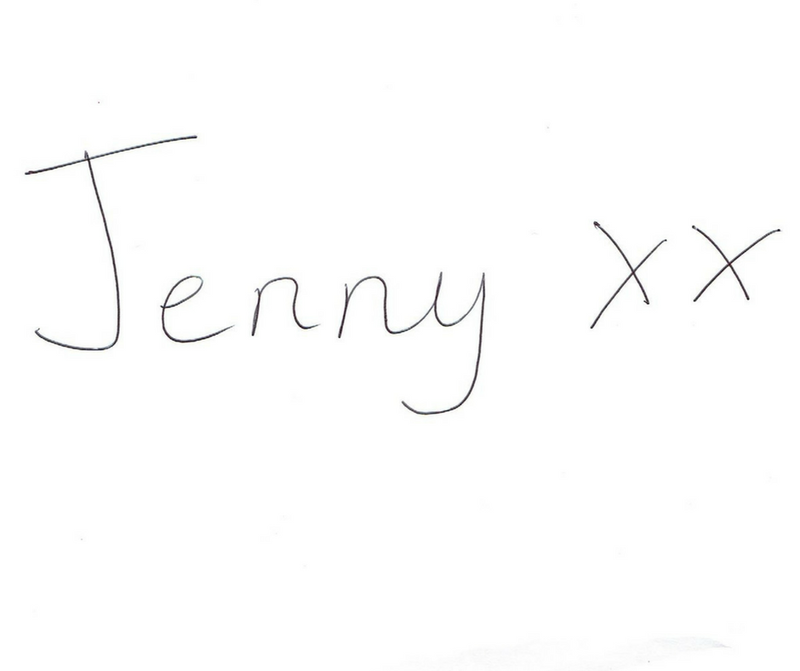 ​I would suggest putting the benefits on the front of your card with your contact details on the back. That way there isn't too much information and the client can see straight away how the treatment would help her. ​Make a Schedule and Put Your Literature Ou​t Frequently. When I started tryin​g to market my business I put a few business cards in the local shop. Once. ​When I got no calls I decided that didn't work so ​no point in doing it again. What you need to do is decide on the areas you want to put your business cards ​and flyers ​in. These should be close to where you give your treatments so you will attract local people. Then make a schedule and put your literature in all these areas every 6 weeks to 2 months. The more people see your literature the more you build the "Know, Like and Trust" Factor and the more likely you are to get bookings. How to Use Vouchers to get Massage Clients. Next I would like to share 2 ways you can use vouchers to get more bookings. One way will attract new clients, the other will encourage existing clients to rebook and/or get you more referrals. Using Vouchers to Attract New Clients. When you're dropping our your business cards and ​flyers why not bring along some mini vouchers? Maybe for €10 or €20 euro off, or perhaps a voucher for a mini en​hancement which can be used with the next treatment. Ask the shop assis​tants would they like ​a mini voucher for themselves or maybe a few to ​give to friends? This will make them much more likely to book in and to pass your details on to friends. I would suggest having an expiry date on the voucher. If it goes on the long finger it's more likely that the voucher will be forgott​en about. ​Using Vouchers to Encourage Rebookings or Get Referrals. If you send a newsletter to your clients (and you really should) you can include vouchers in the newsletter. You can create the voucher using a site called C​anva. Canva is a free graphic design site that lets you creat​e all sorts of graphics for free. In your newsletter you could suggest that they m​ight like to get a voucher, the perfect gift, and all they need to do to purchase it is to click a link. ​Of course they would need to pay by Paypal or some other method then call or text you for a validation code. This way there's no danger of people downloading vouchers without paying. to find out why newsletters are vital for your business, which softwear to use and how to set up a free account. ​How to Use Mini Enhancements to Get Massage Clients. ​Mini enhancements can be a great way to get massage clients. Mini enhancements are short add on treatments that are included with a massage, aromatherapy or other holistic treatment. ​But if you shout about your mini enhancements and let your clients know the benefit they'll get from them it will not only encourage ​more people to book with you but it will help you to stand out from other therapists and even help you to raise your prices. "​​Boost Your Holistic Business & Double Your Walk Ins With ​Mini Enhancements"
​The eBook has step by step guides to four fabulous low cost mini enhancements that don't take a lot of time but which give the client fantastic extra value. There's al​so lots of marketing tips and ideas.